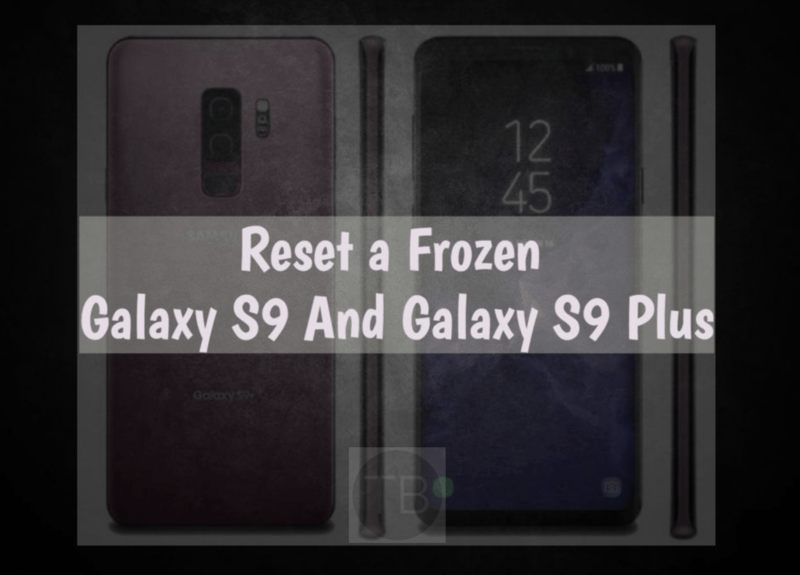 Today we’ll tell you how you can Reset a Frozen Galaxy S9 And Galaxy S9 Plus. We have seen Frozen issues on many Galaxy devices and the reason behind this is was not just one. It can be triggered by faulty firmware, culprit app or system crash. Now to actually determine what is causing all this fuss, you have to go through with different solutions. Let’s get started. Galaxy S9 and S9 Plus follow the design language of the Galaxy S8. There are a few changes in how the elements are placed at the back. The fingerprint scanner, which was beside the camera and flash on the Galaxy S8, has now moved beneath the camera. This makes using the fingerprint scanner a lot easier. Galaxy S9 and S9 Plus come with incredible cameras. The Galaxy S9 has a single shooter at its back and the Galaxy S9 Plus has a dual shooter with dual-aperture mode and dual-OIS. The Galaxy S9 has a screen of 5.8-inch and the S9 Plus has a screen of 6.2-inch. Galaxy S9 comes with a 3000 mAh battery and the bigger variant has a 3500 mAh battery. Both of these phones are powered by Exynos 9810 or the Qualcomm Snapdragon 845 CPU. Under the hood, there’s a 4GB/6GB RAM with 64GB internal storage. Android Oreo is the operating system running the latest version of Samsung Experience UI on the top. The Galaxy S9 costs around $720 and the Galaxy S9 Plus costs around $840. The phones will be available in the markets from March 2018. Let’s start the method to Reset a Frozen Galaxy S9 And Galaxy S9 Plus. Heed the following methods to reset your frozen Samsung Galaxy S9 and S9 Plus. Keep that in mind if none of this worked for you please you must visit the nearest Samsung service center. Press and Hold down both volume and Power button for 10 seconds. If your device is not facing hardware issues then it would probably boot up normally. If not then follow the steps below. First, only press + hold volume down button. Now do the same with Power button and don’t let it go for 15 seconds. First, turn off your Samsung Galaxy S9. Now press and hold the power key. When you see Samsung Galaxy logo, release the button and then press+hold the volume down button. Don’t let go until your phone finishes the rebooting process. When you see Safe Mode in the lower left corner of the screen let go the volume down button. Once you are in the Safe mode, try using it for few hours to see how it goes. If your device is running without any issue that means apps were the reason behind all this fuss. First, delete the most recent apps you have installed, then reboot your device. Try booting your Galaxy S9 into recovery mode. If you did it, then proceed with instructions below. First, we’ll clear the cache partition and after that, we’ll perform a factory reset to get our device back to life. You have to select ‘Yes‘ when you’ll be prompted for next menu. Now press and hold Bixby+Power+Volume Up key. That’s all. This is how you can Reset a Frozen Galaxy S9 And Galaxy S9 Plus. Please do tell us how was your experience in the comments section below. Use Galaxy S9 Always-On Display. Change Screensaver On Galaxy S9/Galaxy S9 Plus. Boot Samsung Galaxy S9 into Safe Mode. Disable Bixby Button On Galaxy S9, S9 Plus. insert or remove SIM Tray on Samsung Galaxy S9 & S9Plus. Connect Samsung Galaxy S9 to TV.